Austria Sample itinerary, we invite you to check out a sampling of several different pages and sections of one of our self-guided itineraries. One of the grand capitals of Europe. The very name of Vienna evokes images of opulent palaces, opera houses, royalty, the foundation of classical music and city that is a great cultural and architectural jewel. The entire capital itself is like an elegant museum, a treasure open for all to enjoy. ….For the first day an orientation walk will acquaint you with the layout of the city center and location of the main attractions to visit over the next few days when you undertake to explore the various museums and historical sites. 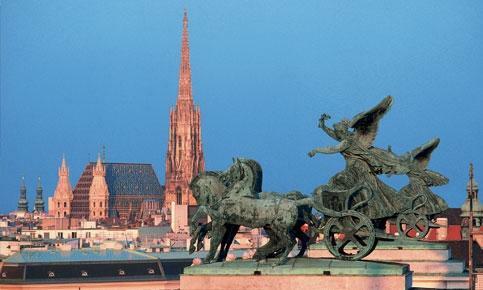 Introduction to Vienna Altstadt / city center – main hi-lights of the Austrian capital. STARTING point at Helden Platz / Hero’s Sq., in front of the Neue Burg / New Palace, build 1881 – 1913 by Gottfeid Semper for Kaiser Franz Josef. This is a most appropriate point to start from because it was the last section of the Habsburg complexes of residences to be built in the Hofburg complex. Each generation had built on to the ever-expanding Palace of the Habsburg Royal Family. 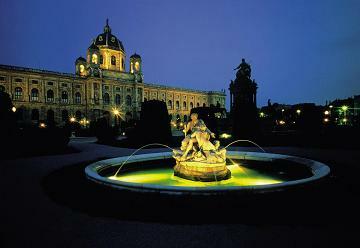 Neue Burg is constructed in an ellipse shape and certainly gives the impression of grandeur befitting royalty. After marveling at this most beautiful Palace, take a look at the large equestrian statues in front of the Palace. The national hero Prince Eugene is mounted on his horse, it was he who lead the Austrians and their Allies to victory over the Turks in the siege of Vienna – 1653, ……The monument at the other end of Helden Platz is that of Prince Karl to commemorate Archduke Karl’s victory over Napoleon at Aspern, both monuments were constructed 1860-65 by Anton Fernkorn. From this large open space of Helden Platz / Heroes Sq you have a great vantage point of the entire west side of the Ring Strasse / Street, / facing the Square away from the Neue Burg you can see the National Museums of Fine Art and Natural History Museum to the L beyond the Burg Tor/ Palace gates. Pope John Paul II held two masses here in Helden Platz with over 100 000 faithful in attendance each time. The National parades and State ceremonies also take place here. Ring Strasse Dec 1857 Kaiser Franz Josef I ordered that the city walls be taken down and a wide blvd be built that would be lined with buildings for government and culture. .
Make your way through the Burg Tor /Gate to the Ring Strasse turn left and just passed the Neue Burg complex you arrive at the Burg/ Palace Gardens where you will find memorials to Mozart and Strauss, Kaiser Franz Josef as well as Goethe! Then after have taken pictures of the monuments cross the Ring Strasse to the W side and turn right back towards the Burg Tor, but now you are on the opposite side of the street. Walk just a short way until you are at the Museum Quarter on your left. Open Daily 10:00 – 6:00 pm Open Thursdays til 9:00 p.m.
rarities from former collections of the Habsburgs, also Egyptians and near Eastern, many treasures of ancient cultures, Brugel’s Farm wedding, and Tower of Babylon. ( 1563) Largest Brugel collection in the world! Her consort Emperor Franz I (1745-65) supported the expansion of the economy and the Arts by founding and encouraging manufacturing industries and the Arts and sciences. Empress Maria Theresa introduced many changes to the Empire making it an absolute monarchy and a centralized State. She ruled 1740-1780. Centered between these two Grand Museums you find the impressive Denkmal / monument to Empress/ Kaiserin Maria–Theresia, a towering figure in Austrian history. Her son Joseph – II succeeded her and continued to introduce many reforms. …. You may recognize this area from seeing it in the James Bond Film – ‘Living Daylights’ in which Bond and his girl travel briskly thru the area in the romantic Fiakers / horse drawn carriage. Many of these famous horse drawn carriages – are available for hire in this area. It would be worth-while to peek into the entrance of these grand museums. …. 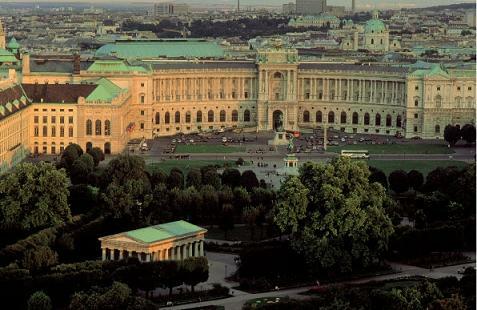 The next significant building awaiting you is the Austrian Parliament, created by Theophil Hansen, it was constructed 1873- 1883 in the style of Greek revival. He also created the magnificent Pallas Athena brunne / fountain, which represented the four Austrian rivers of the Empire: the Danube, Elbe, Inn and Vltava. The elected representatives serving in the council of the Empire for the Austrian part of the Austro-Hungarian Monarchy held their council in this building until 1918, when it became the Parliament of the new Austrian Republic. Ring Str. Built from 1874-1888 by the designs of Gottfried Semper and Karl von Hasenauer who designed the exterior and interior respectively in Italian Renaissance style. 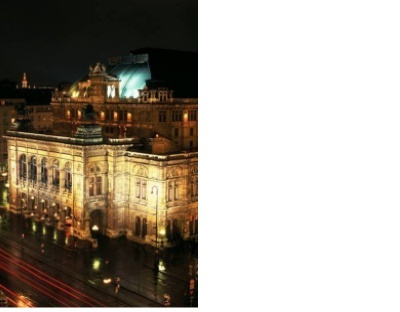 Since 1776 when Emperor Joseph II founded the Court and National Theater, the institution preceding the present day Burgtheater, a distinguished company has held the leading position in the dramatic arts of the German speaking countries. Tuesday/ Thurs. and Friday tours at 9 am and 3:00 pm only! Main building of the University of Vienna, founded in 1365 by Duke Rudolf IV, it was re-designed by Heinrich Ferstel in 1873-1883. You may enter the building; there is a café and most interesting courtyard with 38 statues of renown academics - a striking feature. to the Mozart Haus- Museum Dom g. Nr. 5, formerly the Figaro haus. Then back to Blut g. and R, cross over Schuler Str into Strobel g, cross Wollzeile Str and continue on Essig g.
Built 1627 on Dr. Ignaz Seipel Pl. Also known as the University church, note the twisted marble columns! 1703 – 1707 reconstructed by architect and painter Andrea Pozzo – pulpits featuring the apostle Mathew in amazing and beautiful detail. The sanctuary is decorated with twisted marble columns and a spectacular domed and painted ceiling - well worth the visit! Head back the direction you came to Wollzeile Str. and turn R, walk to Rotenturm turn L back to Stephans Pl , arriving back in Stephens Platz. ca 2:30. Now continue through the Sq and walk down Kaerntner Str. …. ……Visit the Staats Opera. A walk around the building particularly to the front of the building on Opern Ring, is worth a look and photograph. Open: 10:00 – 4:00 pm – catch the last tour of the Day! Tours in English and German on the hr. The building was erected between 1863-1869 as one of the first great monuments of the new Ring Boulevard. The Royal-Imperial court Opera House as it was first called was designed by architects August von Sicard and Eduard van der Nuell. ……One of the foremost Opera houses in the world with programs 300 days /year. More than 60 Operas and ballets performed during a year. Once a year the Vienna State Opera is turned into a giant dance floor for the Vienna Opera Ball with debutante couples opening the ball…. Can you just picture the Princesses, Queens, Empresses, Baronesses and society ladies in their flowing dresses and the famous cast of leading men – Kings, Dukes, Counts, Barons, Generals, officers, Ministers, and famous artist, architects, and composers including Mozart himself! Now it is your turn to walk where they once did. ( From Day Three ) …… Driving directions: Belvedere to Schoenbrunn Palace. continue along 2 km to the front of Schoenbrunn Palace. 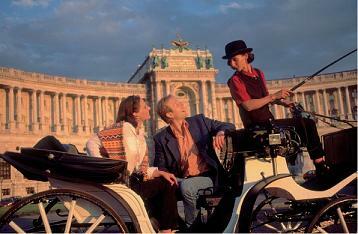 This morning you are sure to marvel at the Schoenbrunn Palace. Schoenbrunn Palace – interior visit, and its vast gardens including the Gloriette are a must see! Audio guided tours. Empress Maria Thersia had the greatest influence in this creation……. 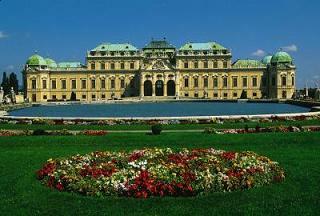 The Palace today is an important Austrian government conference and ceremonial venue. This site has hosted many European conferences, many Heads of State and dignitaries over the centuries and since 1955. During the Cold War President Kennedy meet Khrushchev here. Gate structure, the view from the top of the Gloriette is one not to be missed! Gloriette- Koffeehaus with a most impressive view of the city. It is worth the view to visit the terrace atop of the Gloriette. Lunch menu and Viennese Wine, coffee and good Austrian Bier! Open 9-6:00 pm in summer – 7:00 pm. Close out the day and overnight in Krems. Suggest leaving Vienna 5-6:30 pm, no later than 6:30 pm for 7:30 pm arrival in Krems! 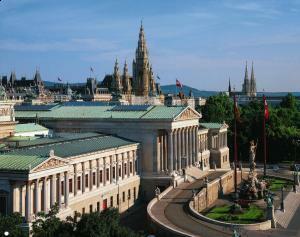 Suggested plan for a 2:30 /3:00 -5:00 visit to the National Art Gallery or Albertina Art Gallery! Or any other Museum that captures your imagination……. Or – Afternoon visit to Castle Kreuzenstein Note closed at 4:00 pm, allow for 2:00 pm departure from Vienna to include a visit. .
Time to leave Vienna and the first portion of your Austria adventure. Now its time to get into the country, there so much that awaits your discovery! 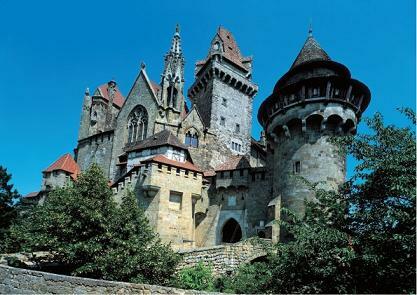 Consider a short (exterior) visit to view the impressive neo- gothic Castle of Kreuzenstein First stop outside of the capital is the impressive medieval castle of Kreuzenstein. Your destination and overnight stop is the Danube city of Krems in the Wachau, Danube wine region and UNESCO world heritage site. From the intersection of Getreidemarkt and Mariahilfer continue on what becomes Babenberger Str. At the intersection of the Ring Str- Left – all Ring names are different sides of the Ring flowing into each other. Burg Ring/ Renner Ring -Luegner Ring etc. + 2 km to the Leobendorf castle L Castle Parking lot in center of Leobendorf. now driving E to Martin J Schmidt Str. -L – which meets Und Str. – across this intersection is the Information – good idea to get a town maps and dir to hotel if needed. Continue R to the city center on Schillen Str, which will veer L into J-Wichner Str. and then L at Kasernstrasse PK garage on R around corner. 1 blk to Dachsberg g. Next L Spital g. And PK L .
and / or along the romantic Danube! Consider a visit a wine farmer for dinner and wine tasting. Perhaps take the short 10 min drive to Durnstein B 3 W and visit the Ruin and taste some good wine nearby! From Krems take B 3 West 10 km to Durnstein and continue along this provincial route following the Danube through the picturesque Wachau crossing the Danube into Melk. Melk to Artstetten: 14 km / 12 min - Cross back over to B 3 head left / West for 10 km turn right + 3 km to Artstetten. take 1st Rd R ca 500 m, towards Unterthalheim and onward thru Ober-Thalheim to Maria Taferl ca 6 km , for short visit to the renown Basilica and marvellous view of the Danube valley from the church terrace. After visit to Maria Tafferl drive down to the Danube…..
From Melk S to KN Melk [ 80 ] to KN LINZ 89 km, 45 min …. ….a 37 km / 37 min drive via Durnstein to Melk the heart of the Wachau- Danube river Valley region, a UNESCO World heritage site and famous for its wine and beautiful scenery, splendid baroque castles, ruins, folklore and being the cradle of Austrian civilization! 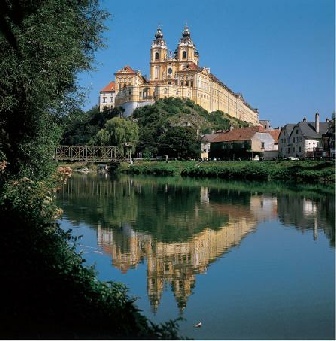 Suggested departure of Krems by 11:00 a.m to Durnstein ……. Now driving into Graz on Weiner Str. 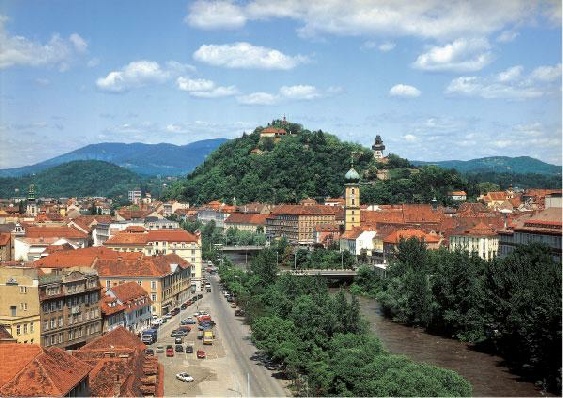 as you near the center of Graz – notice Schlossberg and Uhrturm L.
Take Annen Str L at the Hptbnhf towards city center. Str curves R at ……. If you park here, walk across Neutor g towards the city centre and continue stra into Albrecht g to the Hpt Pl. Afternoon discovery of pretty provincial town of Leibnitz, followed by a tour of the wine region of KITZECK, visit several wine farmers and enjoy the south Styrian hospitality. Dine at the Wine Farmers tonight. OR – To spend more time in the S. Steiermark / wine area forego a Schloss Eggenberg/ Flavia Solva visit for an early afternoon arrival in Leibnitz and mid-afternoon visit to Kitzeck and area. One of the most beautiful small towns in Steiermark and Austria, has received an officially designated as such in recent years. The town center offers cafes, restaurants and small town shopping! Great ice cream. 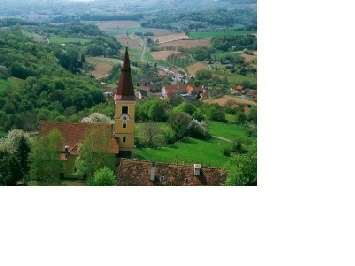 Cultural and economic center of S. Steiermark. County seat and capital of the Wine Region, situated on the Leibnitz Field between the Sulm and Mur rivers. Former significant Roman city in Austria! In A.D 79 Leibnitz /Flavia Solva became a chartered Roman city with a pop of 3 000. In 1923 Leibnitz regained city charter from Kaiser Franz Josef I. Then proceed to Kitzeck afterwards to close out todays activities. Option Flavia Solva 350 BC Roman city of 3 000! Seggau Castle – originally in the possession of the Bishops of Salzburg – now owned by diocese of Graz Seggau Renaissance courtyard, church vaulted ceilings. Roman monuments, chapel, over 300 years old wine cellar. Wine cellar tours Sat 15:30, please call ahead Schlosss Seggau Café with large terrace. 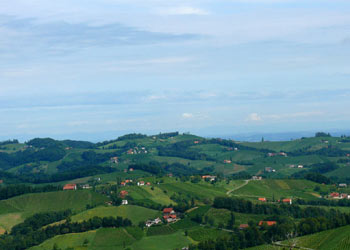 Wine Strasse - Styrian Tuscany! 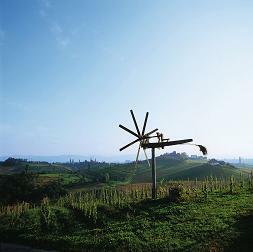 Klapotetz (a wooden bird chasing windmill) on Demmerkogel /hill. Kitzeck /Wine Museum - visit this small wine museum and learn more about wine making – the region and its people. Open 10-12, 2- 5:00 pm. ….. Evening Program – Consider participation in a Steierischen Fest tonight. This is where Arnold Schwarzenegger proposed to his wife Maria Shriver. Kurbis (Kervis) / Pumpkin farmer – pick up some black gold to take home, something to remember your visit to the Stieiermark. 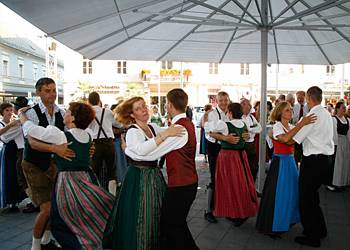 consider attending one of many festivals in the region: Zeltfest /Tent, Pfarrfest/Parish, Fuerwehrfest / volunteer fire Brigade, of every town and township – you get the picture! OR for a more cross country route Kitzeck to …. Drive further thru the Wine Str / Route to visit Deutschlandsberg/ Stainz on way back to Graz. B 74 ends at B 76. Turn R / N 2 km to Deutschlandsberg Rdabt L …. You will be very pleased with our comprehensive travel itineraries that will greatly help you to have a rewarding and most memorable trip. For your ultimate self-guided -self-driving tour of Austria, we have an itinerary just for you ! Itineraries available to purchase and download online.